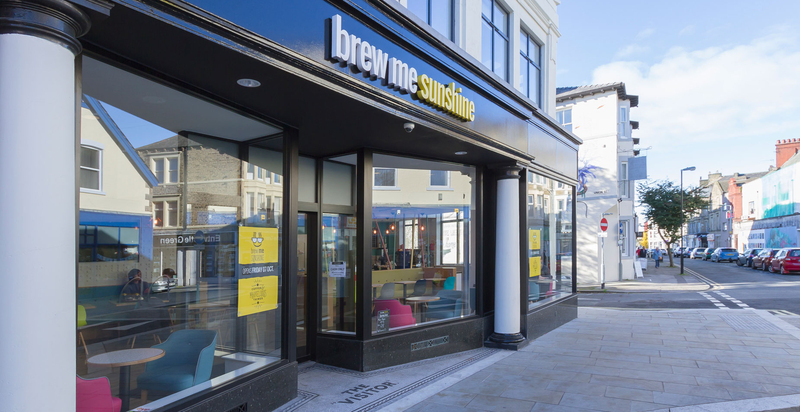 Galloways Society for the Blind is one of Lancashire’s oldest charities, it provides a service to over 7,000 blind and visually impaired people across the county. 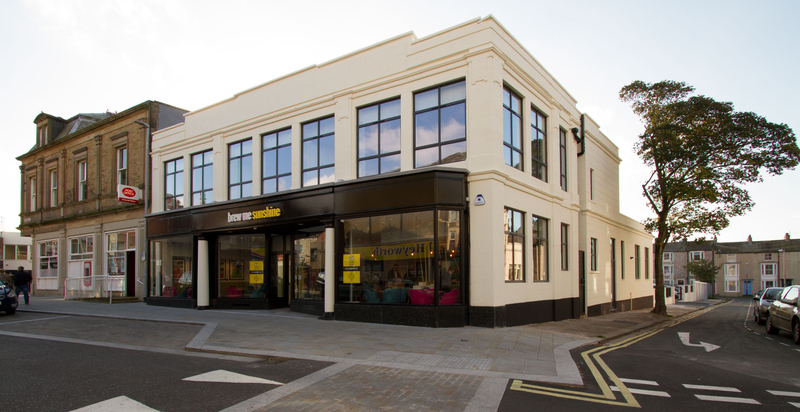 In 2014 the charity purchased a new building in the heart of Morecambe, the former newspaper office on Victoria Street, home to ‘The Visitor’, the famous Lancashire newspaper. 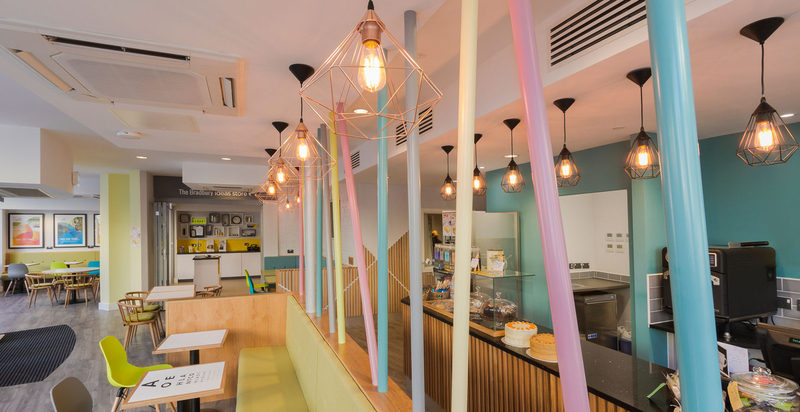 FWP were appointed to design, manage and oversee the transformation of the disused building. 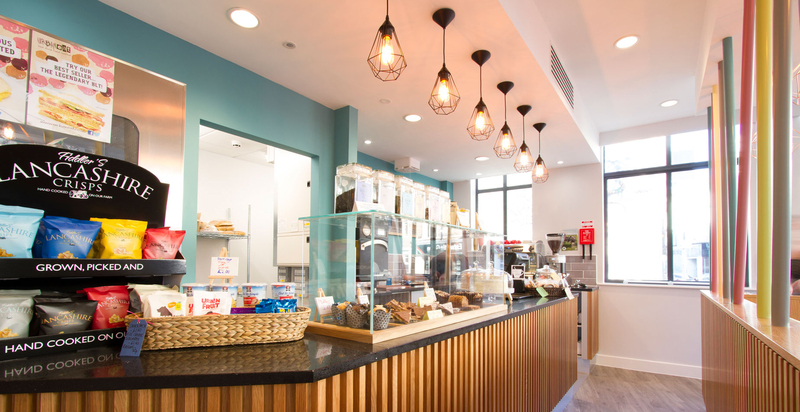 The scheme included demolition of part of the building and construction of a new two storey annex providing a modern café, an ideas store helping, advising and selling products to aid visually impaired people. 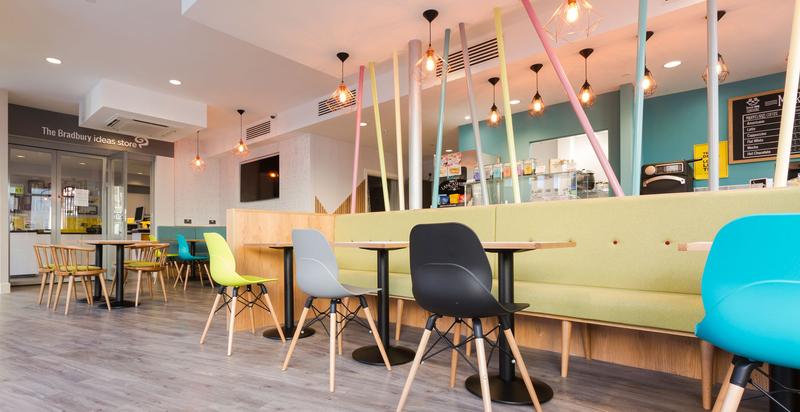 The design also created new offices, a function room, and a state of the art technology recording studio for their talking newspaper. 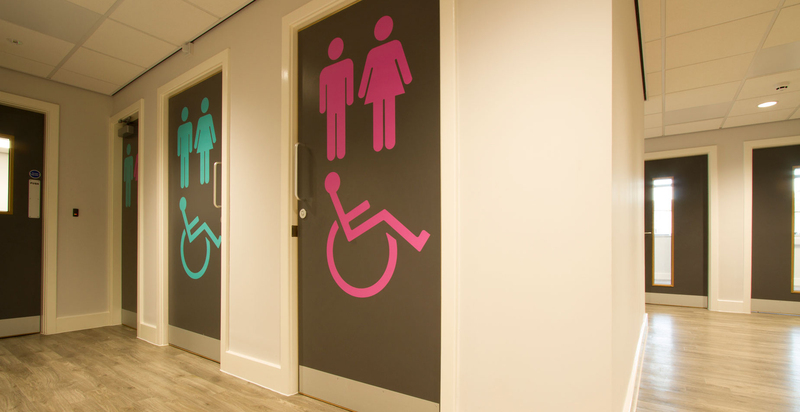 Externally, guide dogs are given an area to rest. 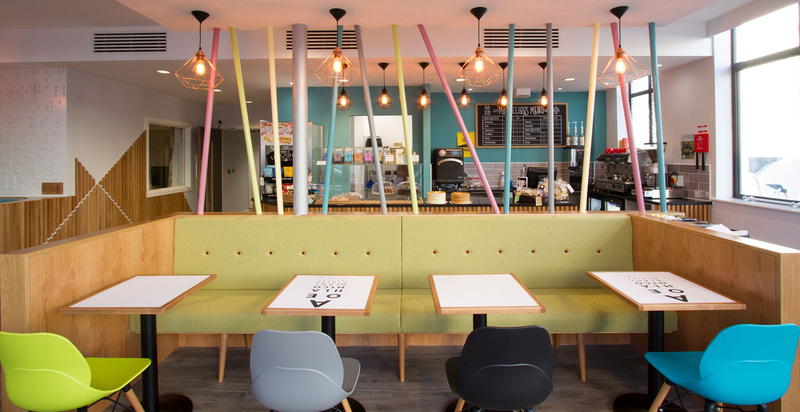 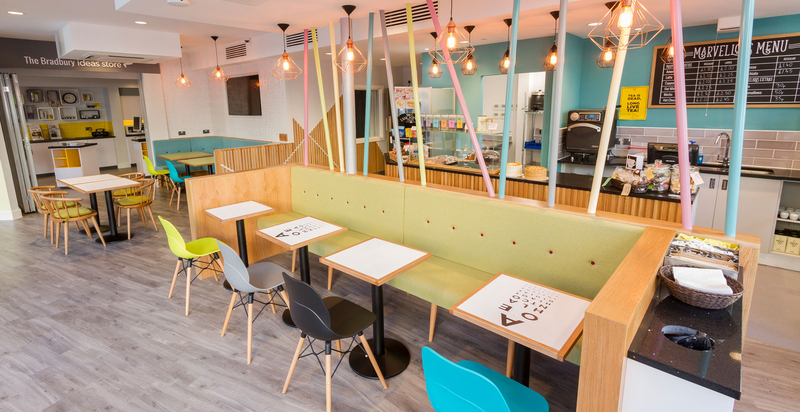 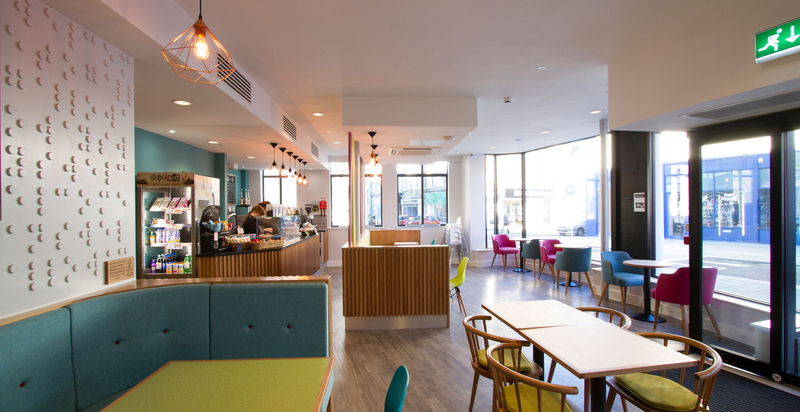 The café boasts many tactile surfaces guiding people around the space, the bespoke braille wall, digitally printed table tops with the Snellen chart, bright and bold colours, comfortable seating all help make the space an exciting new adventure for Galloways. 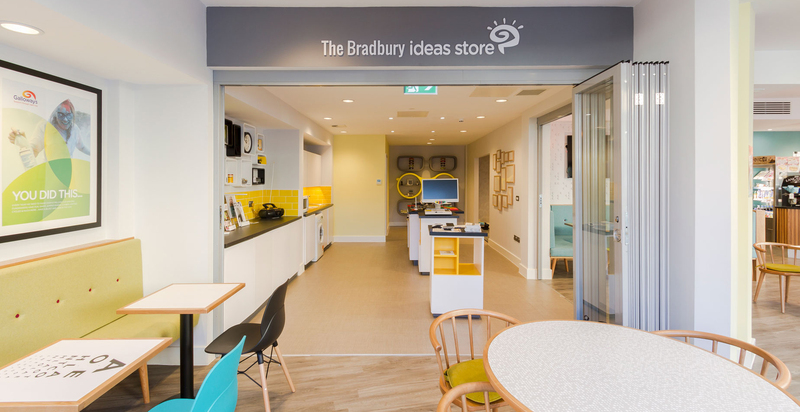 The ideas store allows Galloways to offer help and advice, whist demonstrating and selling products to aid visually impaired people. 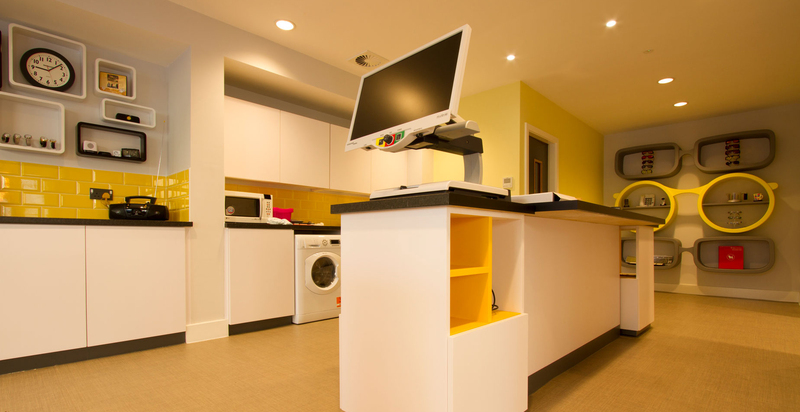 The new facility for Galloways in Morecambe was designed to aid the visually impaired. 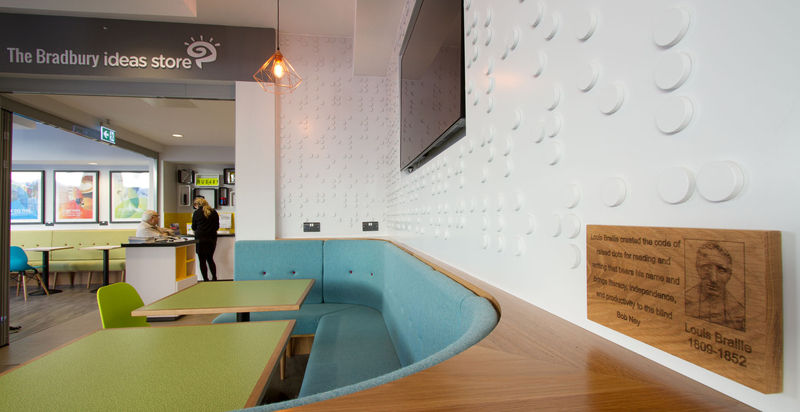 Using various innovative designs, the hub has had a fantastic impact on Galloway’s clients and has changed their lives through the support and advice they are now able to offer.